International firms are abandoning the oilsands, but the remaining local players see a strong and positive outlook for the industry. 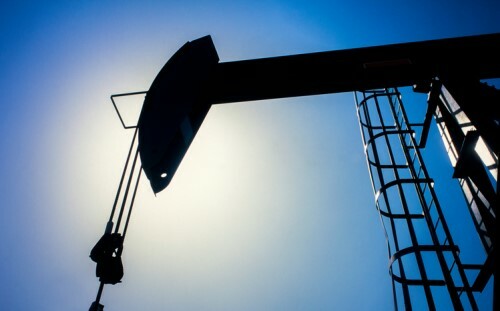 Multinational companies StatOil ASA, Murphy Oil, ConocoPhillips, Royal Dutch Shell, and Marathon Oil have exited the Canadian oilsands to bet on tight oil, according to the Financial Post. Sensing an opportunity, domestic operators have quickly snatched up assets from some of the departing firms. “This is a very exciting time,” Canadian Natural Resources President Steve Laut told the Canadian Association of Petrol Producers (CAPP) Scotiabank investment symposium in Toronto. In February, Laut’s company acquired the oilsands assets of Shell and Marathon. “The advantage is we are committed and we are very focused,” he told reporters at the conference. Referring to the Shell acquisition as “transformational” for Canadian Natural, he predicted that consolidating the industry into a handful of Canadian players would result in better project execution, lower costs, and more innovation. He was also quick to explain the exodus, which investors may believe says something about Canada’s competitiveness. “If you are an international company, you look at how long it takes to get anything done in Canada, versus the Permian or Brazil, or Saudi Arabia,” Laut said, referring to delays and costs related to obtaining regulatory approvals. John Rogers, vice president of investor relations at mid-size oilsands producer MEG Energy, is similarly upbeat, reporting the best conditions at their business in a decade. Before the oil crash, the oilsands faced a few struggles: competition for staff and services were driving costs up, negative publicity delayed pipeline approvals, and international focus on the region sparked concerns about greenhouse gas emissions. He also highlighted the reliability of Canadian oil supply. Declining imports from Mexico and Venezuela have increased US refineries’ demand for Canadian product. Canadian oilsands projects last decades, as opposed to tight oil that gets depleted and must be replaced in one or two years. Suncor Energy Chief Financial Officer Alister Cowan also weighed in, saying that consolidation makes the oilsands business more competitive rather than less. Suncor is integrating its operations with that of Syncrude, a competitor it took control of last year. By improving its automation and making changes to how it taps its suppliers, it is reducing costs. Husky Energy, one of Canada’s largest integrated energy companies, created cost savings during the oil price downturn. The firm expects to hold on to 70% of those savings moving forward. However, Chief Operating Officer Rob Symonds admits that many people have left the industry, compromising operations at drilling rigs. “[T]here is a legitimate issue on whether people will come back,” he said.